The Taiwanese handset maker is the latest to give its flagship handset the luxury treatment. 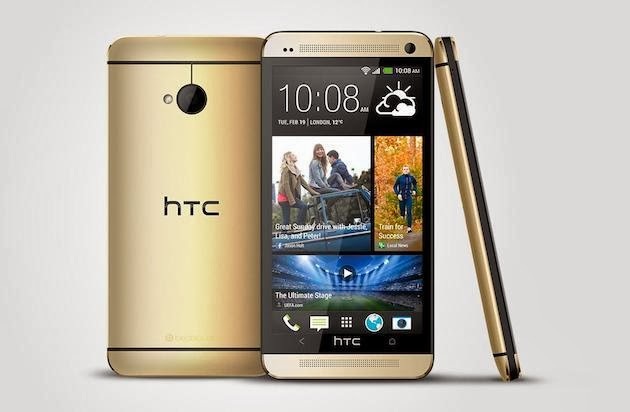 The HTC One in one of its more regular shades of silver, black, blue or red is already a wonderful device and often described as the iPhone of the Android world. And with such a reputation it should come as little surprise that the company has decided to take another leaf out of Apple's book and offer a gold version of the phone. However the makeover is skin-deep. Underneath the gold-colored body is the same Snapdragon processor, amount of RAM and software. The move follows a similar decision by Samsung to offer its latest phone, the Galaxy SIV, in a limited edition gold-toned finish in September. Samsung's phone debuted two weeks after Apple released its latest flagship, the iPhone 5S, which, as well as graphite or space grey, also comes in gold. Following the handset's official launch event on September 10, developers at the company revealed that the gold version of the device had been referred to as "The Kardashian Phone" internally. It is worth noting that none of the handsets are covered in actual gold but, if real gold is more your taste, there are a number of boutique jewelers that specialize in offering real gold-coated Samsung, Apple and HTC handsets, such as Gold and Co and Gold Genie.